It was, indeed, a blessed event. 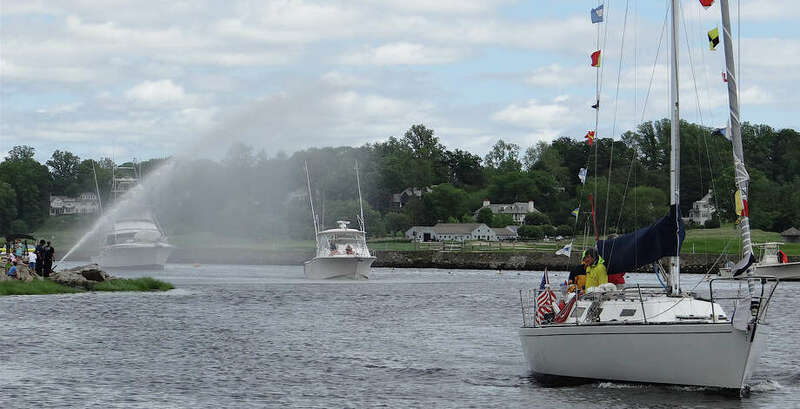 Not only did the annual Blessing of the Fleet at Southport Harbor take place as planned Saturday, but it unfolded under bright, blue springtime skies. The balmy weather was a sharp reversal of meteorological fortune that seemed ordained from on high given the drenching that Southport Village had absorbed only hours earlier from Tropical Storm Andrea. The annual blessing of vessels by local clergy at the Lower Wharf was proceeded by a small parade through the picture-perfect neighborhood.